Mommy Blog – Homemade baby food, recipes, activities & kiddie shenanigans! Hope everyone is having a wonderful summer so far! I absolutely cannot believe that the 4th of July is next weekend already! Time is really speeding by lately that’s for sure. Even so, I am super excited for the 4th! 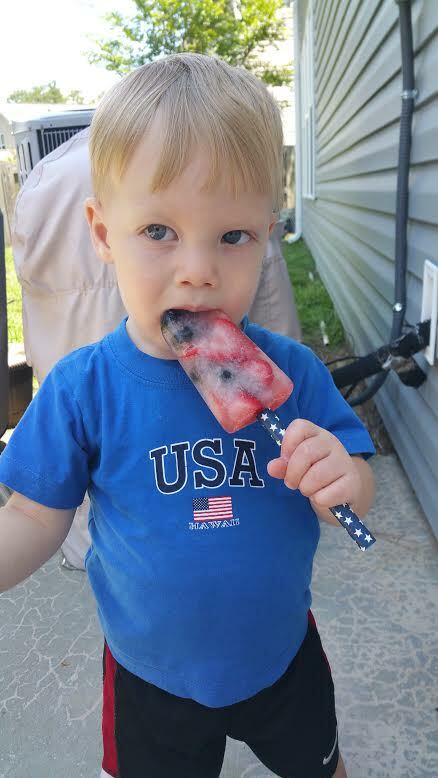 We decided to make some homemade popsicles because…why not?! Red, white and blue and extremely simple! No joke, I really just threw these together! So perfect if you want to make something homemade but quick and easy. 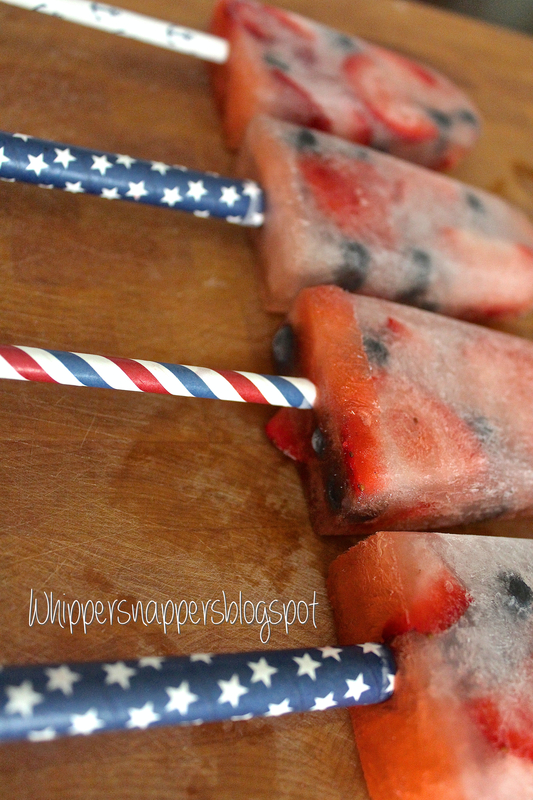 4th of July Firecracker Popsicles! 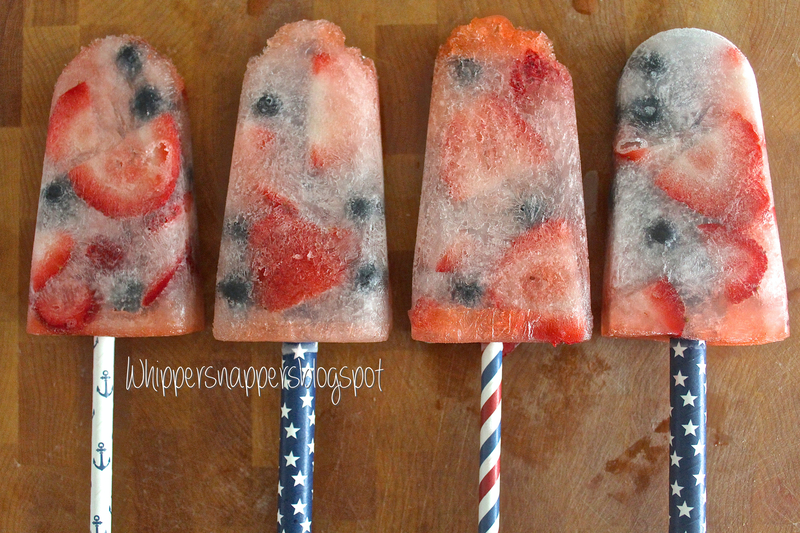 All I did to make these was slice up strawberries into slices and small bites and add them to a popsicle mold along with some blueberries. 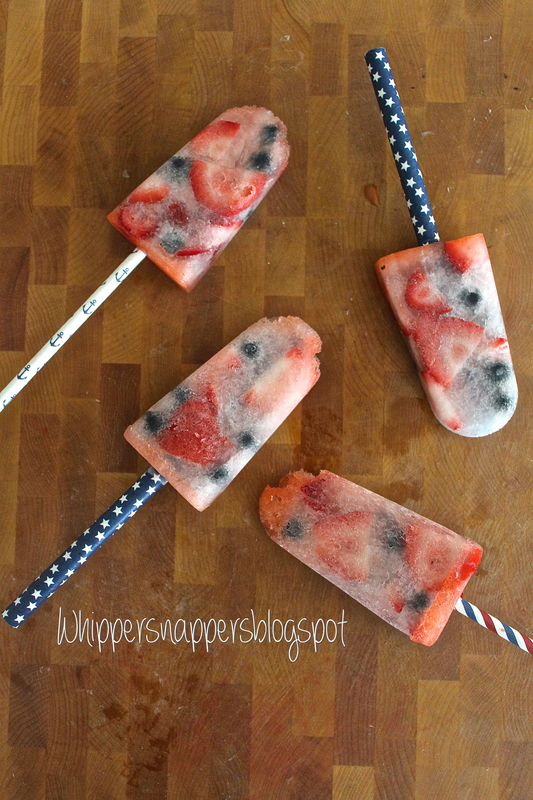 You can add however much fresh fruit that you want to be in your popsicles. Don’t forget to add your popsicle sticks or whatever you want to use for a handle! Then I added sprite to fill everything in between! I am a stay-at-home mommy to a wonderful 8 month old boy, Sawyer. I am a Navy wife and we are currently stationed in South Carolina. I decided that I want to share my ideas, homemade baby food recipes, kids crafts & activities as well as other kiddie shenanigans. I hope to have my homemade baby/children's clothing shop started in the near future! This is a personal weblog and for entertainment purposes only. Information provided on this blog is at your own risk. Unless otherwise stated, I am the copyright holder of all photos and material on this blog, which cannot be used to reprint or publish without my written consent.